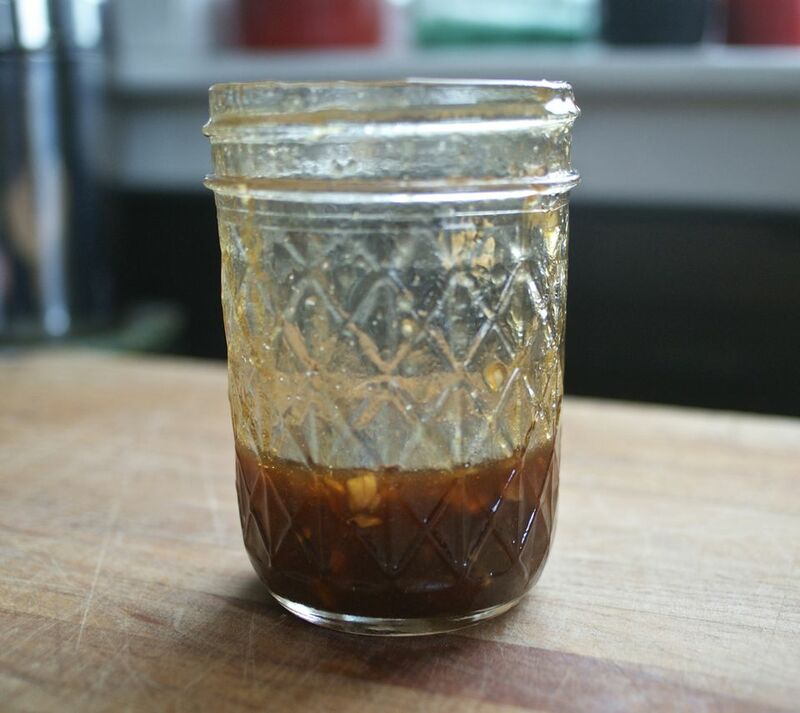 Balsamic vinegar and honey (along with a bit of mustard) pack a lot of flavor in this sweet-yet-tangy salad dressing. If you've never made dressing before, you will be delighted with just how easy it is and just how much you like being able to control exactly what and how much goes into your salad. Feel free to adjust all the seasonings to your taste and use this recipe as more of a guideline towards deliciousness. In a small bowl or measuring cup, whisk together the oil, vinegar, mustard, and honey. If you're using the dressing right away, make the dressing right in the bottom of the large salad bowl. Peel and mince the shallot. Add it to the dressing. If you want to add the additional kick of garlic, peel that, mince it, and add it as well. Whisk them into the dressing. Add the salt and pepper and whisk those in, too. Let the dressing sit 5 to 10 minutes for the flavors to blend a bit. Taste the dressing—the best way to do this is to dip a lettuce leaf into the dressing so you taste how the dressing will work on the salad. Add more salt and/or pepper if you think it needs it. You can adjust the amount of honey and mustard to make it sweeter or more pungent, respectively. Too strong? Consider whisking in an additional tablespoon of oil (or just add a tablespoon of warm water to dilute the flavor a bit).